5 Musical Monkeys for Apple TV by Whynoceros? 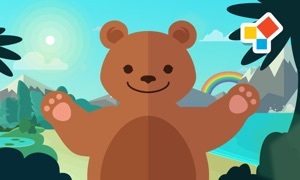 A delightfully engaging app based on the beloved children’s song. 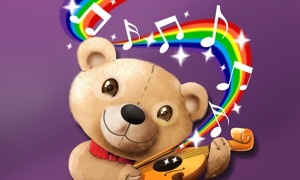 Five Musical Monkeys takes the rhyme that children love on a genre-hopping journey of singing, dancing and musical exploration. 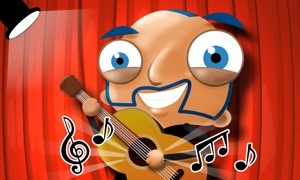 The app comes equipped with Pop, Reggae, Blues, Punk, Bluegrass, Cajun and Mariachi versions of the song! LISTEN, SING and DANCE – Play the classic song in seven different musical styles: Pop, Reggae, Bluegrass, Punk, Blues, Mariachi (Spanish) and Cajun (Cajun French) are all included. Whynoceros? is dedicated to bringing wonderfully original mobile applications to thinkers and daydreamers of all ages. Specializing in stories, puzzles, music games and education, Whynoceros? blends entertainment and education without sacrificing the genuine learning so often absent in new media. Whynoceros? is proud to partner with the finest musicians, artists and organizations to deliver experiences that are both captivating and educational. Whynoceros is proud to have launched Barnyard Bluegrass, a Parenting Magazine “Best Pick” as well as Flight of the Pamplemousse, which is currently taught in schools nationwide.